Thanks to Minecraft readers in the UK! Flynn’s Log 1 is now Free on Kindle. Many thanks to you for helping make Flynn's Log 1: Rescue Island a success on Amazon.co.uk. 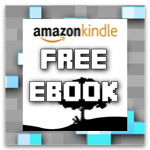 Flynn's Log 1 is now Free on Kindle in the UK! Your support is awesome. Now, let's push Flynn's Log 1 higher on the charts. Click this link and download Flynn's Log 1 from Amazon then leave a review with lots of stars. Thank you! You are the best fans and I am the luckiest writer in the world!